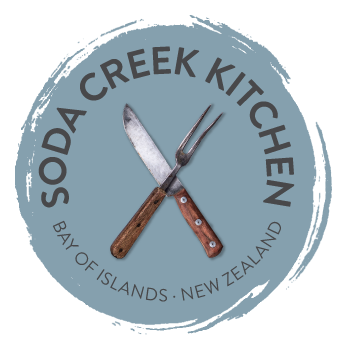 Award winning chef owner of Soda Creek Kitchen, Colin Ashton and his dedicated team, can cater for any occasion, serving amazing, fresh, innovative Northland cuisine anywhere. Weddings, private functions, Christmas parties, barbecues and more. Colin has catered for: Shania Twain - World Tours, Red Hot Chilli Peppers Tours, Susi Liddington’s Wedding Venue, Cornerstone Church, and the Turner Centre, to name a few. Thank you for an amazing event for Asher and Kristin’s wedding. Every aspect of what you all did was amazing. The food was exquisite, the presentation immaculate, and service impeccable. Everyone was stunned.